Immune thrombocytopenia (ITP) is mediated by autoantibodies and characterized by destruction and impaired production of platelets. 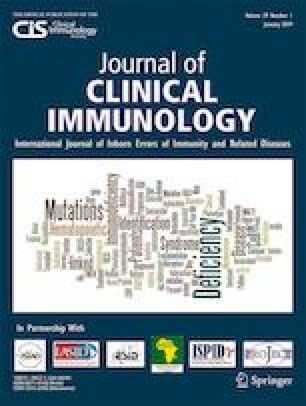 Primary ITP is a rare, idiopathic autoimmune disorder with an incidence of 3–5 per 100,000 children per year , whereas secondary ITP is related to coexisting conditions such as immunodeficiency, rheumatological disorders, infectious diseases, and others . Persistence over 12 months is referred to as chronic ITP (cITP) and bears a significant disease burden due to hemorrhagic, thrombotic, or therapy-associated complications. Besides corticosteroids, intravenous immunoglobulins (IVIG) are a standard first-line therapy for ITP. It is assumed that IVIG positively affects the platelet count and the bleeding diathesis by immunomodulation and stimulation of thrombopoiesis . Anna Karastaneva and Daniela S. Klobassa contributed equally to this work. The authors thank the patient and her family for the approval to publish her clinical history and laboratory data. MGS is in part funded by the Styrian Children’s Cancer foundation (Steirische Kinderkrebshilfe). AK and MGS designed the study. AK, DK, HL, MB, and MGS cared for the patient and collected data. AK and DK analyzed the data. MM gave relevant advice in patient care and the discussion of the data. DK drafted the manuscript and the figures. Written informed consent was obtained from the participant’s next of kin for the publication of this patient report, which was conducted according to the Declaration of Helsinki.